In context: Infinity Blade pushed the envelope with stunning visuals previously unseen on mobile and a user-friendly swipe-based combat system. Its influence can be felt across the industry and its legacy will be remembered for years to come. Epic Games’ Infinity Blade trilogy is no longer available to purchase on Apple’s App Store. The developer said it has become increasingly difficult to support the series “at a level that meets our standards,” hence the series’ discontinuation. In-app purchase options have also been removed, Epic confirmed. 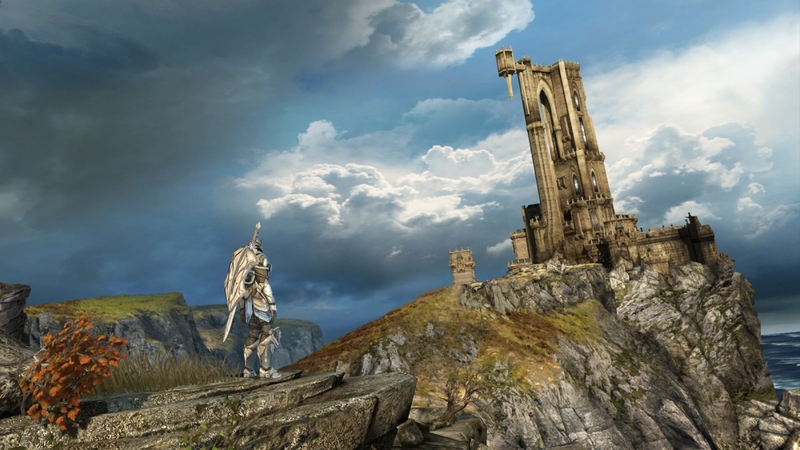 Infinity Blade represented a major step forward in mobile gaming. The first entry arrived in 2010 and became the fastest-grossing app in iOS history. Sequels arrived in 2011 and 2013 and were prominently featured during Apple’s keynotes. Epic says those who purchased Infinity Blade games can re-download them “for the foreseeable future.” Infinity Blade III will continue to be updated over the next month with new Clash Mobs and "other surprises." The franchise has remained dormant for the past five years so it’s not a huge surprise to see Epic take a step back. Epic has a lot on its plate right now with the development of Spyjinx, the recent launch of the Epic Games Store and continued maintenance of cash cow Fortnite. Epic even killed its reboot of Unreal Tournament to focus on Fortnite. Infinity Blade’s influence isn’t going away entirely as the game’s iconic sword has found its way to Fortnite.